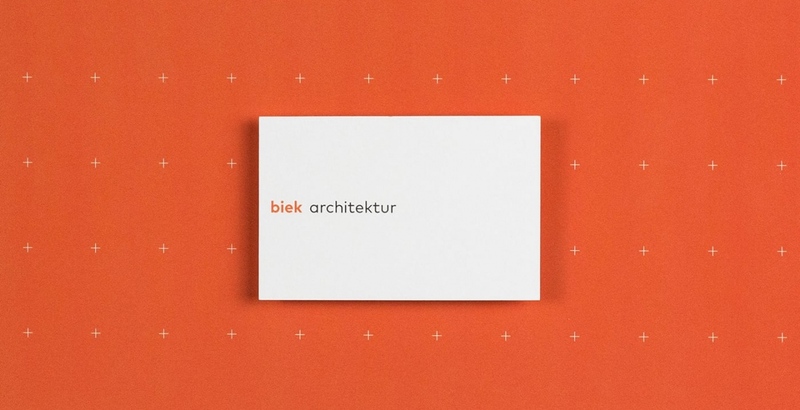 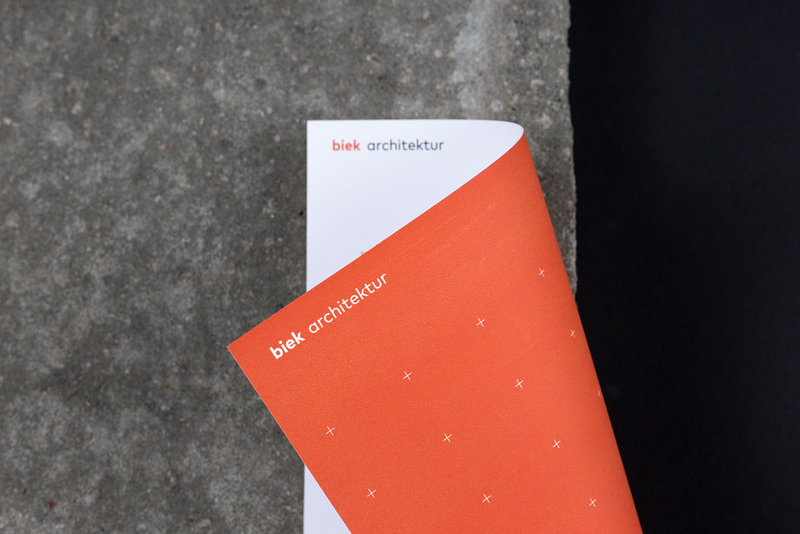 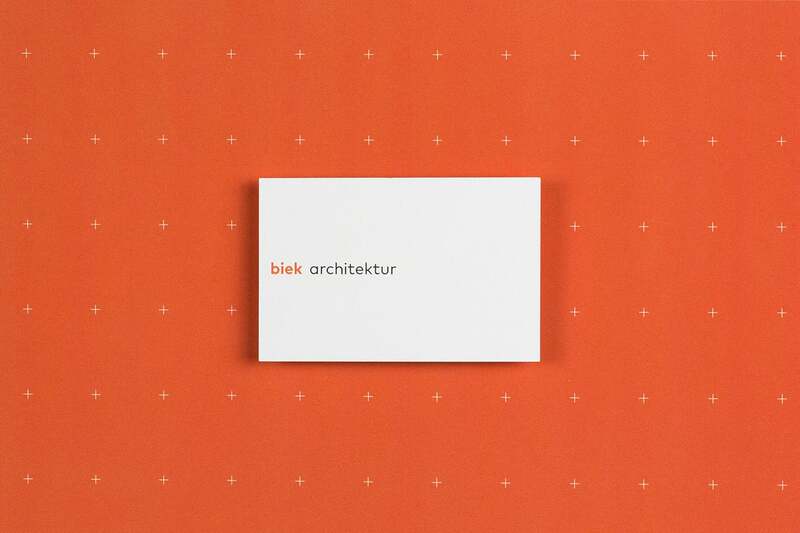 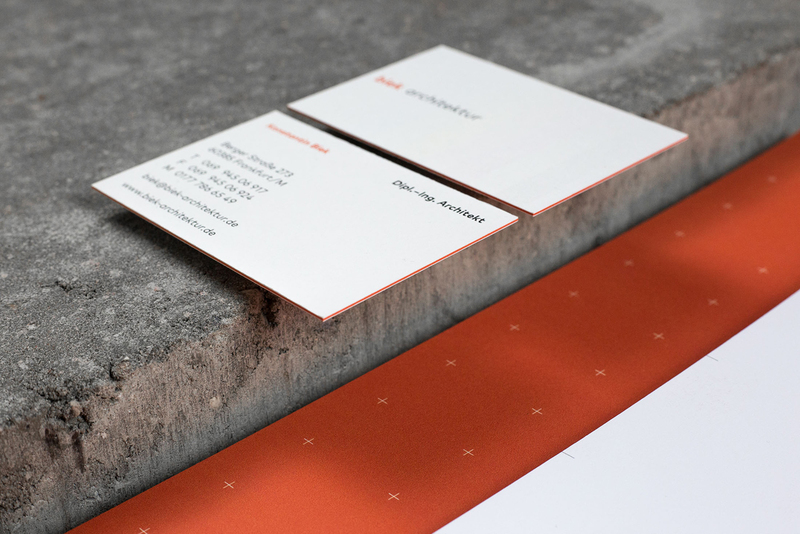 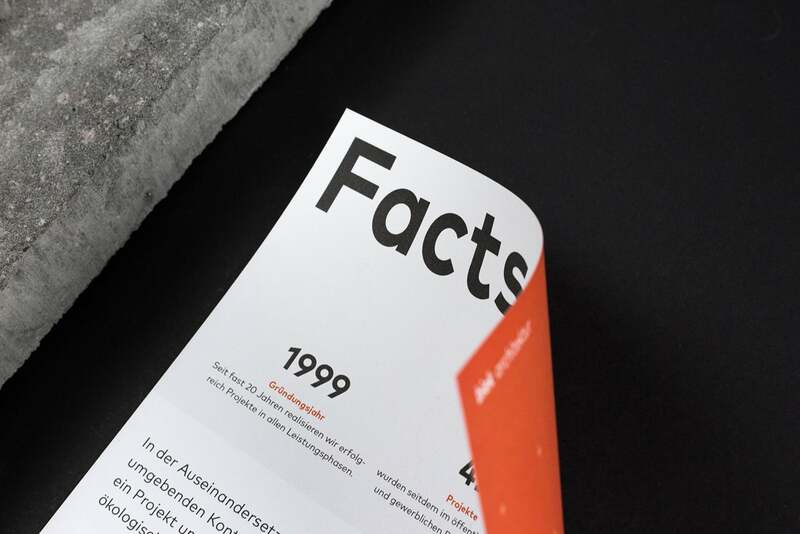 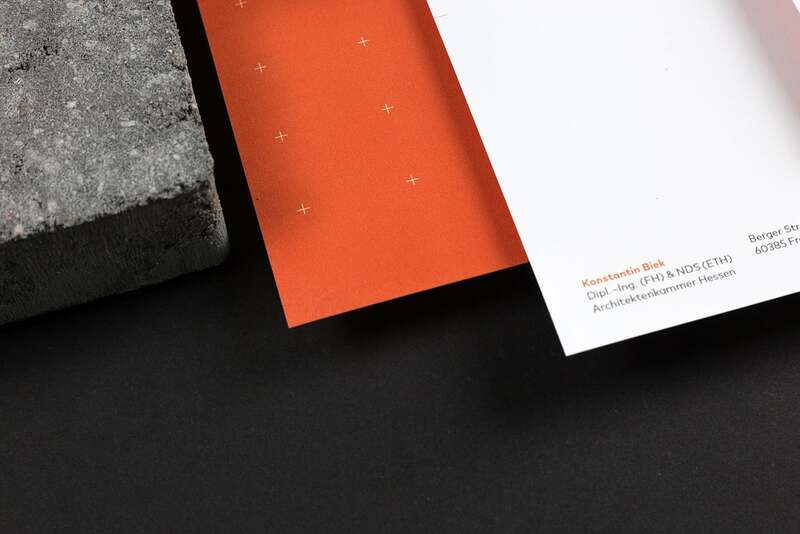 Beautiful identity design for Biek Architektur by New Office in Germany. 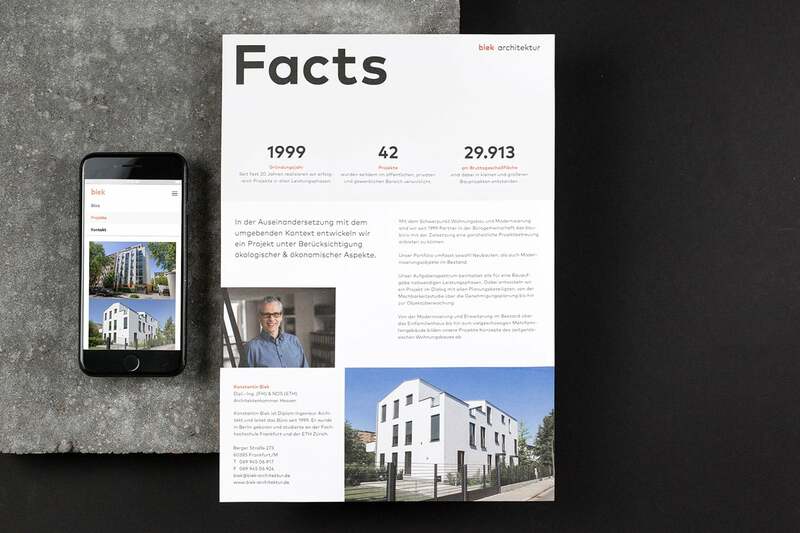 Konstantin Biek has been realizing projects in the fields of modernization of buildings, extension of existing buildings, single-family homes and multi-story multi-family buildings since 1999 with his Frankfurt office. 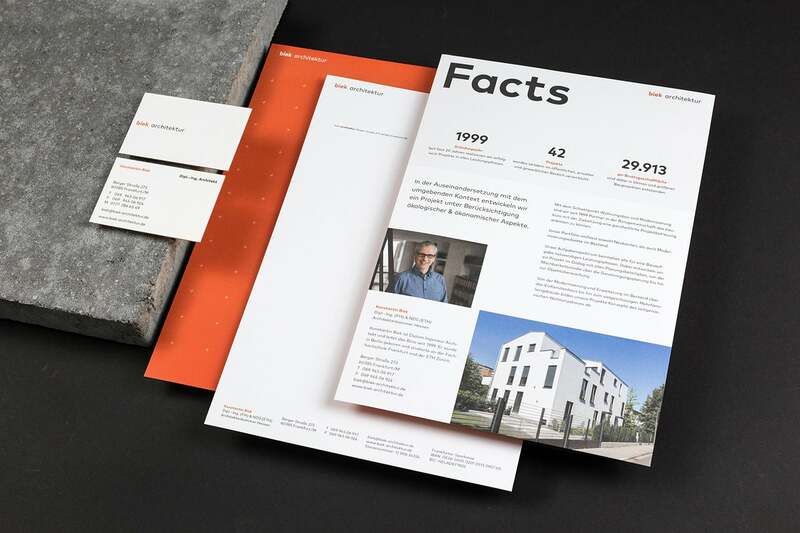 In order to be able to present themselves and the various projects in a contemporary way, the customer wanted a new look that was independent and at the same time withdrawn in order not to compete with the projects shown. 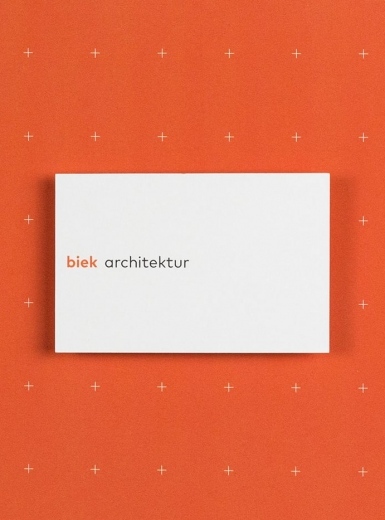 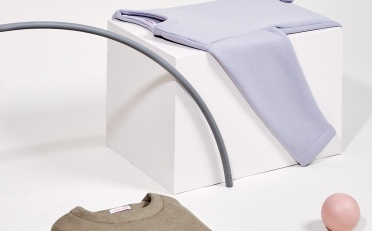 The result is a logo that subtly picks up on the theme of “space” through the extended space between the customer’s name and the industry name, and thus has a thematic relationship despite the reduced appearance. 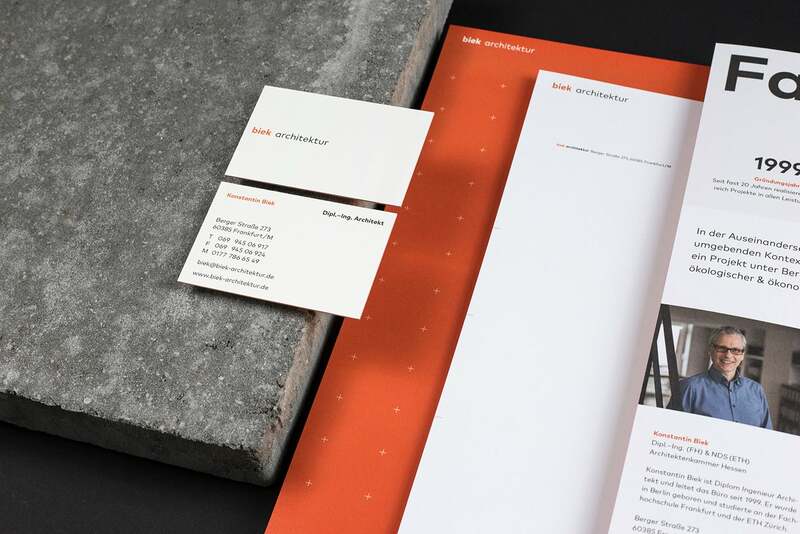 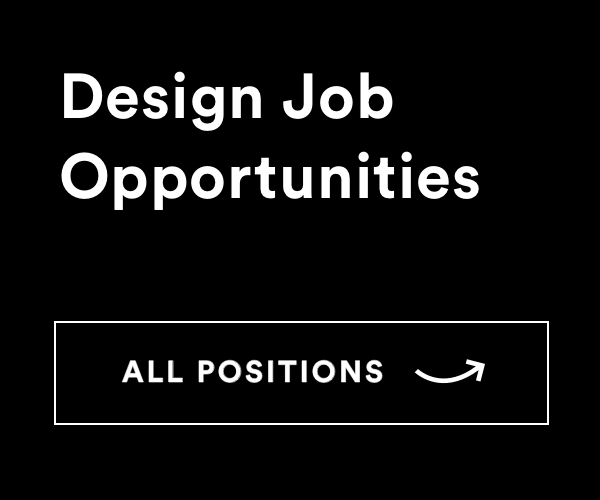 The corporate design relies on a lot of white space and full-surface color with a fine pattern that also takes up the themes of “architecture” and “space” through the area-defining crosses.